Mycobacterium tuberculosis (Mtb) is the leading infectious cause of death in humans. Synthesis of lipids critical for Mtb's cell wall and virulence depends on phosphopantetheinyl transferase (PptT), an enzyme that transfers 4'-phosphopantetheine (Ppt) from coenzyme A (CoA) to diverse acyl carrier proteins. We identified a compound that kills Mtb by binding and partially inhibiting PptT. Killing of Mtb by the compound is potentiated by another enzyme encoded in the same operon, Ppt hydrolase (PptH), that undoes the PptT reaction. Thus, loss-of-function mutants of PptH displayed antimicrobial resistance. Our PptT-inhibitor cocrystal structure may aid further development of antimycobacterial agents against this long-sought target. The opposing reactions of PptT and PptH uncover a regulatory pathway in CoA physiology. 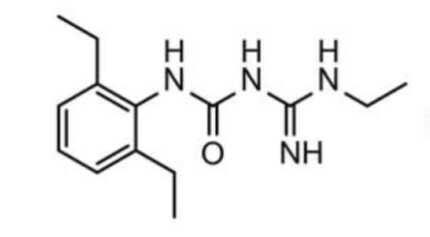 Ballinger et al.2019.Opposing reactions in coenzyme A metabolism sensitize Mycobacterium tuberculosis to enzyme inhibition.Science. 2019 Feb 1;363(6426).